On a holiday weekend featuring headlines about Donald Trump's profiting off of his impending presidency, one smaller example of those gains lies in Trump's own high-rise home. Last week, President-elect Trump announced his wife, Melania, and their youngest son, Barron, would be staying at their current home in Trump Tower New York for a few months after the January 2017 inauguration to allow Barron to finish his school year. But now, a few more details about logistics are coming out and they include the cost to taxpayers and how much Trump may actually profit from the living situation. 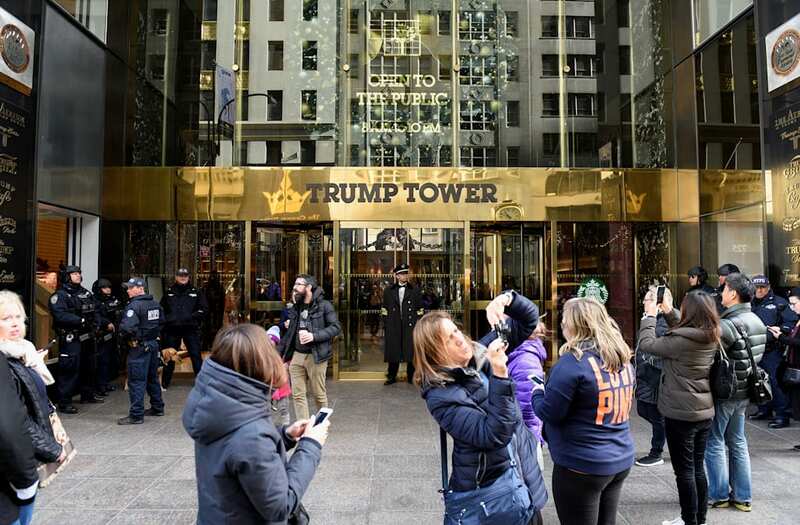 A New York Post report claims that the secret service may rent out two floors in Trump Tower as a command post to protect Melania and Barron and, afterwards, the First Family when they return to their Manhattan home from D.C. at a total cost of as much as $3 million a year. Using taxpayer money for the housing of Secret Service agents and other authorities during presidential ventures away from the White House isn't new; presidents from both parties have incurred such costs. And staying in Trump tower could save the government money in hotel bookings. But the big deal with Trump is that the taxpayer money will be going directly to Trump himself, meaning he will profit off of that money spent on security. Trump has already raked in a profit off his 2016 campaign, including rent for his own campaign headquarters (that was dramatically increased when it turned into Trump 2016 HQ) and things like food (Trump steaks!) and use of his private plane (Trump Force One! ).